Just about a month ago, on the 5 of December 2013, a great Christian leader passed on, and the whole world mourned. He wasn’t just a national hero; he symbolized something for people from every country on Earth. His stature was so significant that the moment the news came out that he was critically and terminally ill, people no matter where they were stood in solidarity and support for the loved ones of this man. And when he passed away, his passing made global front headlines. What is most significant is that people weren’t celebrating his achievements, though these were great; they were celebrating him for who he was. During his lifetime, he was awarded a total of 250 honours. Rarely has an ex-leader been afforded such incredible homage. What made this man so different and what is the legacy he left behind for all of us? On the 11th of January 2014, DUMC commemorated Mandela by remembering this legacy, and by taking a look at it through a Biblical lens. When we talk about the heritage of someone like Nelson Mandela, the first thing we would talk about would be Leadership. This is a huge word, but what differentiated Mandela was how straightforward he was in his leadership, which boiled down to how much integrity he had in his leadership and vision. He displayed the kind of leadership that every Christian leader is called to. Like Martin Luther King, Jr, he dreamed of a world where everyone lives as brothers and sisters. Like Gandhi (a non-Christian) he envisioned a world where people found their nobler selves by not returning violence with violence, but instead with love and compassion, exactly like how Jesus taught us. 5 keywords defined Mandela’s leadership; Cause, Tenacity, Forgiveness, Reconciliation, and Humility. Nelson showed how much his Cause meant to him through his willingness to pay any price, even willing to lay down his life for it if need be. 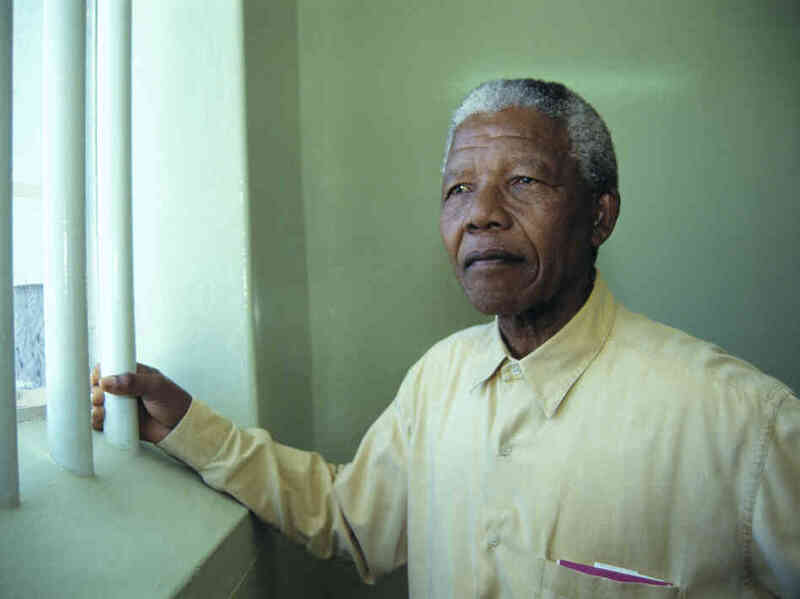 In his struggle against apartheid, he spent a total of 26-28 years in jail, a quarter of the normal length of a man’s life. As Christians, we need to stand firm in our faith/cause. He showed his Tenacity by remaining true to his principles right to the end of his life, through hardship and triumph. He always said that life is not a 100m sprint, it is a marathon, and what matters is not that you achieve success early, but that you endure, and finish well, no matter what the cost of your dreams. As Christians, we are also called to endure in our faith and our focus in our relationship with Jesus. Nelson Mandela did not just forgive his enemies; he took a step further in calling for nation-wide Reconciliation. This took a lot of courage considering the emotional setting during the time. Joseph never saw himself as a victim despite being sold by his own brothers (Genesis 45:5); he said that everything that happened was within God’s will and plan for his life. 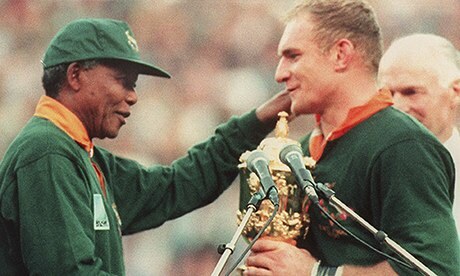 Like Joseph, Mandela reconciled with the whites in South Africa, exhibiting this courageously in a landmark rugby tournament, portrayed in the movie ‘Invictus’, starring Morgan Freeman and Matt Damon. Nelson Mandela also showed wisdom and humility through his awareness that absolute power intoxicates and corrupts. Reflecting this, despite his popularity, he stepped down from power after only one term, exactly as he promised. As Christians, we know that an obsession with absolute power always corrupts. Thine, O LORD, [is] the greatness, and the power, and the glory, and the victory, and the majesty: for all [that is] in the heaven and in the earth [is thine]; thine [is] the kingdom, O LORD, and thou art exalted as head above all. 1. Nelson Mandela was a leader who was willing to lead no matter what it took, even if he had to go into a village that had been recently attacked by bombs. 2. 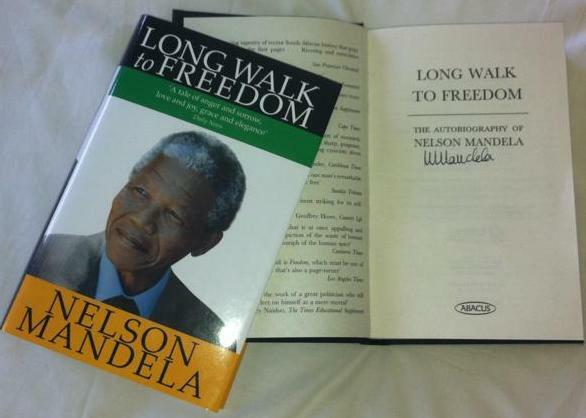 Nelson Mandela was a leader who always took a personal interest in his people. He could remember every fine detail (children’s age, how many siblings, etc..) of everyone he worked with. 3. 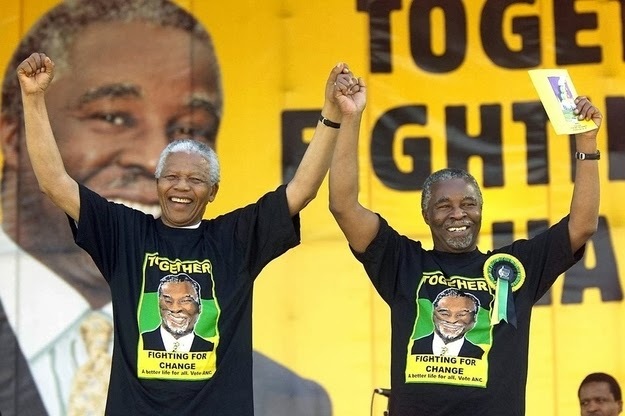 Nelson Mandela was a leader, who put emphasis time after time again on peace, and transcended the racial barrier between Blacks and Whites, even when many of the black Africans were calling for revenge and superiority. Through his life, Nelson Mandela showed how a leader would look if he followed the principles of Christ through his utmost endeavors as guided by God. Nelson Mandela saw issues through a stand that transcended pettiness and saw the larger picture. He never saw race as a point of division, but rather, a celebratory one about the value of diversity. His whole leadership was modeled on the Servanthood Leadership Model that Jesus taught in Mark 10:42-45. His whole life had been a testimony that the Lord favours the righteous. 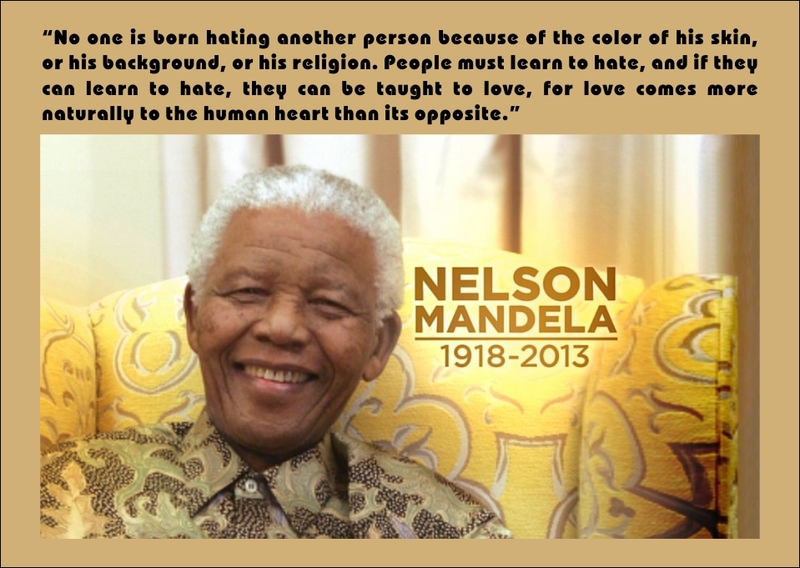 In a cultural hotpot, like the one within the Malaysian context where the dynamics of racial relations is sometimes so challenging, Mandela shows what is possible when we have leaders, who are courageous enough to stand against inequality and racial discrimination, not just with a message, but also with actual examples of peace, tolerance and reconciliation. Malaysians of all races must come together before the extremists tears the nation apart, and as Christians following the way of Christ, we have the calling and responsibility to show the way. The life of Nelson Mandela has a profound relevance to the Malaysian society, particularly to Christians. Thank you for noticing. We have made the amendment.